I woke up an hour early, so I could get to the flea market, walk around, and be back home in time for the 10 o'clock NFL games. My guess is that a lot of the vendors had the same idea, because the flea market was only about 70% of the size it usually is. On the bright side... less vendors typically means less money spent. And when all was said and done, I had spent more money on coffee, breakfast, and admission... than on my three purchases. If you're a regular reader of this blog, than you know I can't stay away from cheap non-sport wax packs. 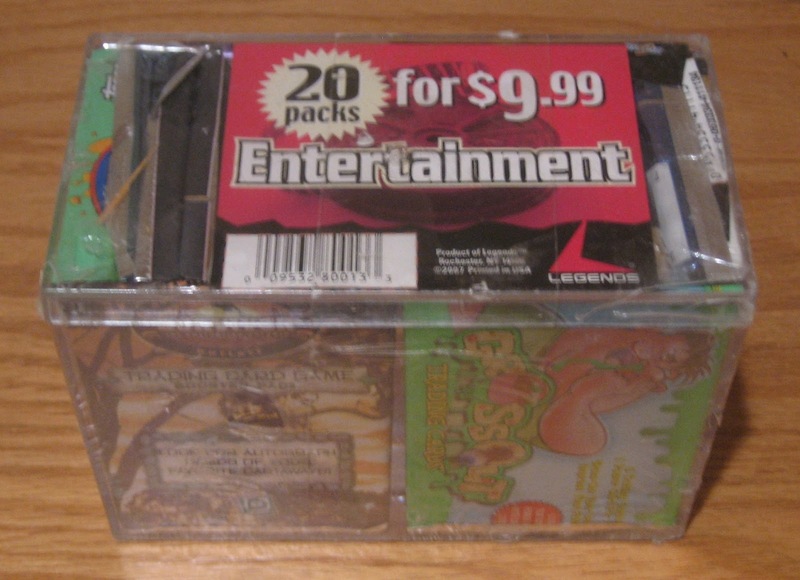 I've purchased at least three of those damn 2009 World's Greatest Chase boxes ($5/box) that contain 16 packs. Today, I grabbed a 2007 Legends box that's a much better bargain: 20 packs for $4. I'll save the box break for a future post. Keep your fingers crossed. I just can't stop buying these worthless pieces of plastic. But I keep thinking "these figures once sold for $30 to $40" so $3 is a steal. Then I remember how much these guys have dropped in value. Oh well... it's a nice addition to my SLU collection. Why do I need or want these? I'm not a 49ers fan and I didn't attend any of these games. But for a buck... who cares? 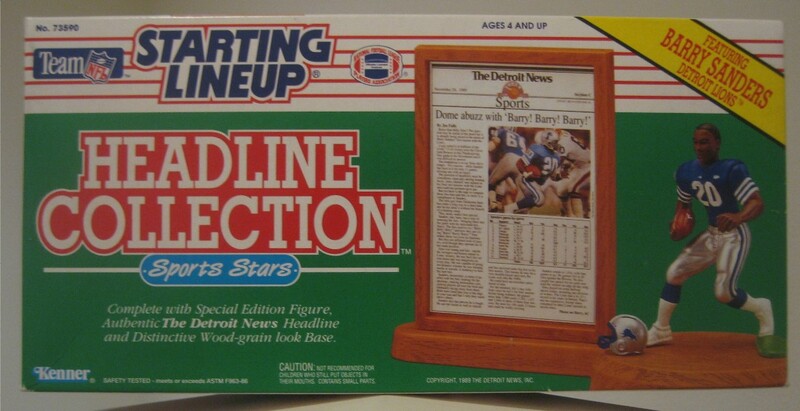 I'll probably take these back to the flea market and sell them at my table. 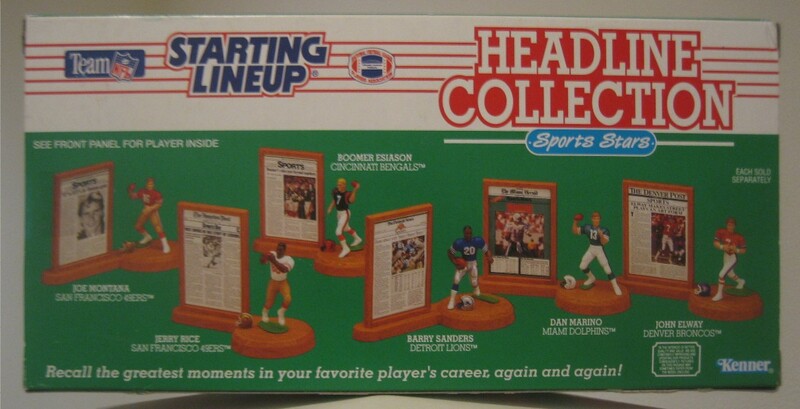 Will Kenner Starting Lineups ever be collectable again? Or will they forever be paired with Beanie Babies and POGs? Happy Monday everyone... and sayonara!